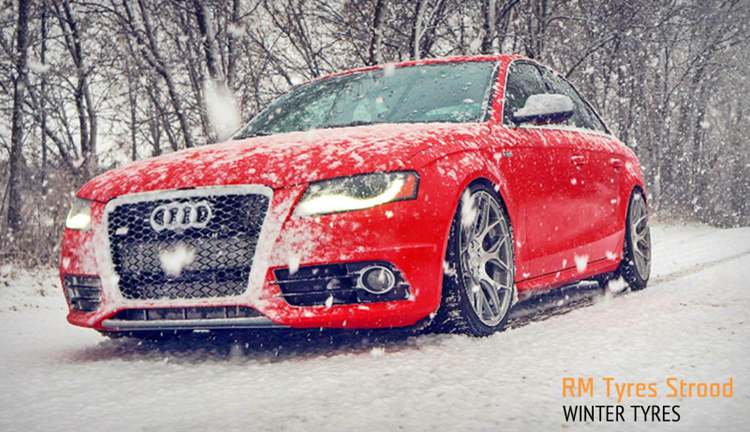 Welcome to our WINTER TYRES page. For many motorists the thought of driving in winter conditions is not always a desirable one. At RM Tyres in Strood, Kent, we are always looking at ways to keep our customers safe by giving them the BEST PERSONAL INFORMATION and industry tyre knowledge on the choices available. We consider winter tyres to be the safest option during the winter season, but most importantly tread depths should always be checked and maintained to a legal limit on an ongoing basis. Whilst conditions on the road become more unpredictable, maintaining and selecting the correct tyre for your driving application is something we are passionate about. The importance of winter tyre usage has certainly gathered pace in the UK over the last 5 years, with the winter tyre option now considered a popular choice amongst many of our customers. Winter tyres offer many advantages over the summer tyre option at tempratures of 7° and below. It is easy to over indulge in all the techincal information available for each brand and pattern on offer (which we support fully), but at RM Tyres in Strood, we like to keep things simple for our customers when it comes to winter tyres. We have created a mini tyre guide to show what winter tyres offer during the winter months, and also the main points we feel should be considered when deciding if winter tyres are right for you. If you would like to talk to us about your winter tyre requirements or cannot find what you are looking for in our online store, please feel free to get in touch with us through our contact routes or by phone on 01634 716336.